I was happy with my life. Okay, it wasn't perfect, but I had a mom, dad and brother that I loved, a best friend – with benefits – and a decent job that paid enough for me to take care of my responsibilities. Then, he walked in to my life, and everything changed. 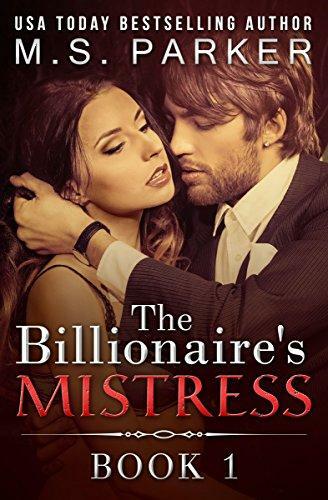 When handsome billionaire, Jal Lindstrom, enters a high-end Philadelphia hair salon, he finds himself under the care of twenty-one year-old Allie Dodds, a sharp, intelligent woman who doesn't seem impressed by his wealth or position. Intrigued, Jal expertly manipulates events to ensure they meet again, even though obligations to his family make things...complicated. Complications, such as getting a ring on the finger of a Philadelphia socialite his mother wants him to marry. Torn between their hearts and their families, Jal and Allie have more in common than they know, but a single secret can destroy everything before it's even begun. Don't miss the first book in the sizzling new series, The Billionaire’s Mistress by best selling author M.S. Parker.